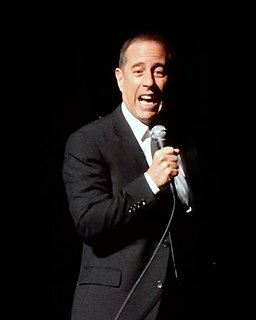 Can you imagine Jerry Seinfeld not being funny? Or Amy Schumer? Or Chris Rock? If you attended a stand-up performance and they were performing with a cold, you could excuse them for not being healthy. The show must go on. If their outfit did not appeal to you, you could reason that style might not be their forté or that you have different tastes. But if they weren’t funny? That wouldn’t fly. They are comedians. People listen to comedians because they want to laugh. When you give comedians your time and attention, funny is the compensation you expect. Comedians are in the business of funny. And if they weren’t funny, you would have no interest in them. Funny is a defining brand attribute for them. A defining brand attribute is a characteristic of a brand that goes to the heart of the role the brand plays for its target audience. It is a pillar of the brand. And like comedians being funny, it is non-negotiable in the audience’s eyes. Smart brands protect their defining brand attributes like crown jewels. Brands that neglect them are leaving the house unlocked and inviting thieves. Equifax’s breach was more damaging to its brand than other companies’ credit breaches (Target, eBay, The Home Depot) because Equifax is in the business of protecting confidential information. Information safety is a defining attribute for the Equifax brand. It’s part of Equifax’s reason for being. When that breach occurred it rocked the brand. You can tell management knew it because they learned about the breach on July 29 but waited until September 7 to acknowledge it publicly. This breach follows a number of smaller breaches over the past four years which exposed the company’s outdated IT systems, an open invitation to hackers. Former CEO Richard F. Smith, who “retired” on September 26, 2017, appeared at a Congressional hearing last week. He indicated multiple times that an “individual” in the IT department had ignored security warnings and failed to implement software fixes that would have prevented the breach. Retired and still passing the buck. When you are dealing with the crown jewels of a brand, you don’t leave the fate of the brand to a single employee. Brand priorities need to be clear to everyone, and CEOs need to take ownership. What happens when you don’t communicate non-negotiable defining brand attributes? People will take cues from the brand’s behavior. Let’s have a look at Equifax’s behavior. Equifax’s company history dates back to 1899 when it was called Retail Credit Company. Its first 76 years of life were fraught with such free sharing of consumer information to banks, department stores, insurance companies – anyone who wanted to check an individual’s credit – that it was repeatedly sued by consumers who were outraged. Worse yet, the only people who couldn’t get a copy of their credit report were the consumers themselves. The information Retail Credit collected was not limited to financial information either. If a company deemed you morally deficient, it might have labeled you a bad risk and denied you credit. Westin’s article led to congressional hearings and ultimately to passage of the Fair Credit Reporting Act in October 1970. By 1975, Retail Credit was so hated that the company changed its name to Equifax, hoping to shed some of its bad reputation. It also wanted to signal a change in its business. It began selling credit reports to individuals in addition to businesses. Consumers were allowed one free credit report per year to check its accuracy. Annual access to their credit report offered consumers an opportunity to correct inaccuracies, but it also shifted the responsibility of monitoring the reports to them. If they wanted more than one report per year, they had to pay. The subversive information collection, lax sharing history and dismissive attitude toward accuracy have left me to conclude that “cavalier attitude toward consumer information” has been an unintended defining brand attribute for Equifax. Any brand that does not understand its defining brand attributes and operate with those as a high priority is at risk. And, ahem, size does not matter. The notion that a brand is too big to fail is ridiculous. A brand unaware of or ignoring a defining brand attribute is like a giant trying to stand on one leg. It bobs and dances trying to find its balance and eventually hits the ground. Despite the widely used phrase “Kodak moment,” Kodak did not focus on “capturing a memory” as a defining brand attribute and remained enamored with its film and chemical businesses well beyond the point where digital photography eclipsed them. Kodak’s competitor Polaroid differentiated itself in its heyday with instant photography. But the company focused on the photography aspect instead of seizing instant gratification as a defining brand attribute that could evolve with digital photography instead of fight it. For years Oldsmobile was General Motors’ (GM) innovation brand. In the 1920s Oldsmobile was the first to use chrome-plated trim instead of nickel. In 1938 the first fully automatic transmission appeared in an Oldsmobile. In 1974 it was the first to include air bags. But in the 1980s GM stopped investing in Oldsmobile’s innovation. Oldsmobile’s tagline claiming that it was “Not your father’s Oldsmobile” convinced neither consumers nor their fathers. Its late models were glorified remakes of other GM brands. Oldsmobile died in 2004 at the age of 107. On the positive side, brands that know their defining brand attributes and execute them well are the ones that grow. Zappos began as an online shoe vendor but quickly realized that “outstanding customer service” and “happiness” had become defining brand attributes and organized their business to execute them with flair, becoming a billion-dollar brand. When Airbnb recognized “belong anywhere” as its key brand attribute and began operating with that focus, bookings soared from 12 million in 2013 to almost 80 million in 2016. Once CVS identified “health” as a key brand attribute, that clarified its focus and led to strategic moves like the cessation of cigarette sales, a name change to CVS Health, and emphasis on growing its pharmacy benefit management and medical services businesses. Both revenue and net income grew as a result. If you’ve been thinking of “that brand stuff” as a sidebar you’ll get to eventually, you risk a big brand blunder of your own. Stop thinking of defining your brand as a nice-to-have and start thinking of your defining brand attributes as drivers of your business. 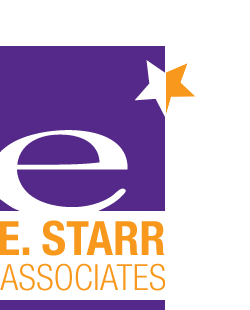 Everyone in your organization needs to know what they are and that top-notch execution of them is a priority. Not sure what your brand’s defining attributes are? Or want to confirm? What are the first three words or phrases that come to mind when you hear our brand name? What happens right before you buy our product that leads you to purchase? What made you choose our brand? How do you feel after making a purchase from us? Find out why your audience comes to your brand. And deliver on or exceed their expectations to keep them coming back.